GREAT FOR QUICK CUSTOMER SAMPLE PROOFS. 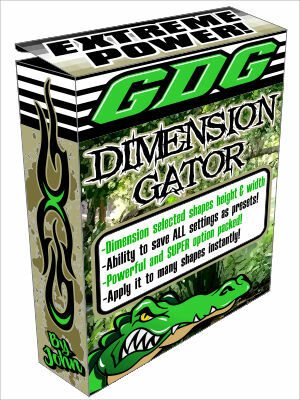 Dimension selected shapes height and width quickly, Option packed and powerful. Completely rebuilt from the ground up. More powerful and easier to use. See pictures and videos below. This version is for V.2018 only.